Alberta Ferretti dress, Tebi Jewels necklace. Christian Louboutin shoes, Alexis Brittar and Tebi Jewels rings. Celestina clutch (available at net-a-porter), Tebi Jewels ring, Moschino coat. So there we have it - my painfully analytical explanation of my ELLE Style Awards outfit choice. Yes, sorry about that. I like to talk. Oh, but wait! I haven't even started on the accessories! That perfect blue necklace was kindly lent to me by Tebi Jewels (thank you!) as was the ring in the third image. The other ring - which you can't see but I'll talk about anyway - is from Alexis Brittar. How do I explain... Imagine a transparent rock carved into the skyline of the dolomites mounted on a gold ring - sharp and strong enough to punch the lights out of even the most resilient of boxers - and you're pretty much there. And lastly, the shoes. Oh, ouch the shoes. Well, these particular shots don't do them justice, but they really are just the most beautiful things. I've had them for a couple of years and this was their first proper outing. (Is it strange that I feel the need to apologise for this in light of their beauty?) But can I just say... THEY ARE KILLERS. They are to feet what sunbeds are to skin: PURE EVIL. I.E they look darn good on the outside by dying on the inside. (Sorry Monsieur Louboutin, je t'aime beaucoup but they really are quite something - good AND bad.) But hey, who's complaining. Oh wait, yes that would be me. 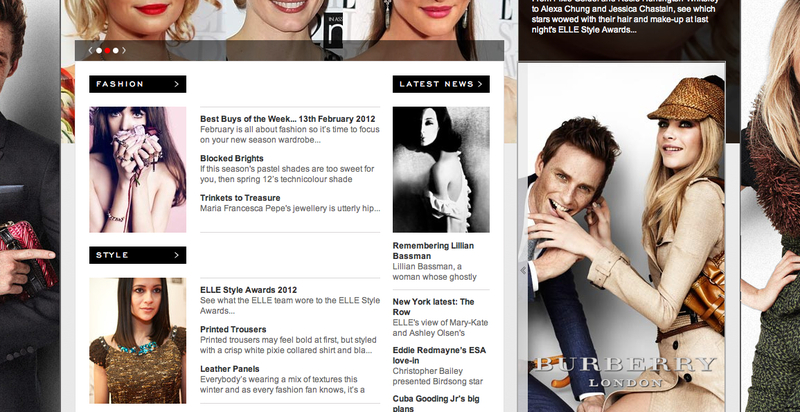 Get all the gossip, winners and red carpet looks online at ELLEUk.com.